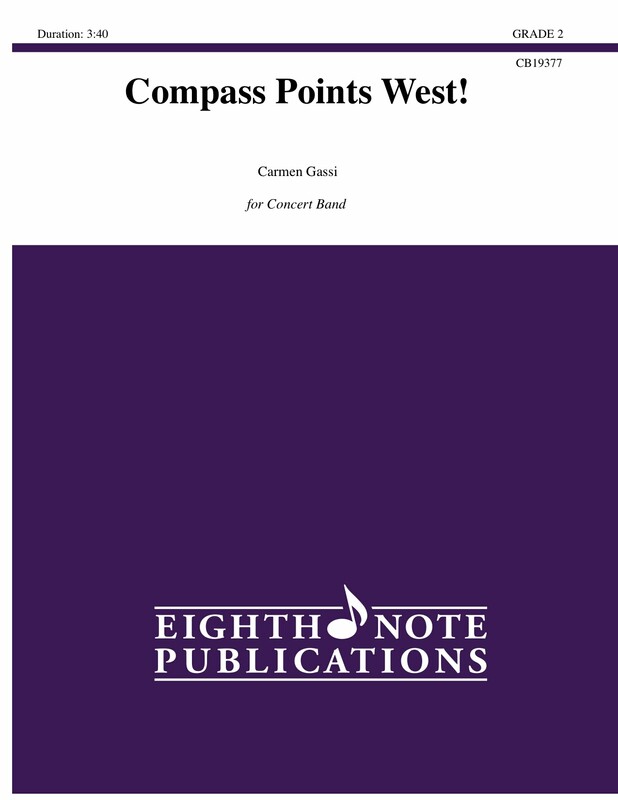 Eighth Note Publications - Compass Points West! Imagine you were a member of the crew on those early ships of exploration leaving Europe in the 15th century to sail to America. Feelings of anticipation and apprehension would give way to feelings of adventure and joy! After a lyrical opening featuring the woodwinds and then the brass, we are introduced to the main theme stated by the clarinets. The journey to the West was not without danger and this composition will take your young players on a musical adventure ending in triumph!